Alright, these are in honor of my newest sister-in-law, Jen, the Jenerator. She loves snickerdoodles. According to her, she could eat the whole batch! She loves 'em. One of my favorite things to do is to take a well-loved classic and adapt it up for the season. That's exactly what these seasonal snickerdoodles provide -a taste of the holidays. With just a simple swap of cinnamon to pumpkin pie spice, these cookies are ready to hold their own against any fall and winter treat. . .
and leave you wondering why you never thought of this tiny tweak before. In a small bowl, combine the reserved 1/4 cup sugar and pumpkin pie spice. Shape the dough into balls and roll in sugar mixture. What's your favorite holiday adjustment? Snickerdoodles are wonderful any time of year, especially in the Fall! I had a revelation last Fall and added Pumpkin Pie Spice to the rolling mix, instead of cinnamon . . . and it was delicious. I enjoy the subtle Fall flavors of the Pumpkin Pie Spice. 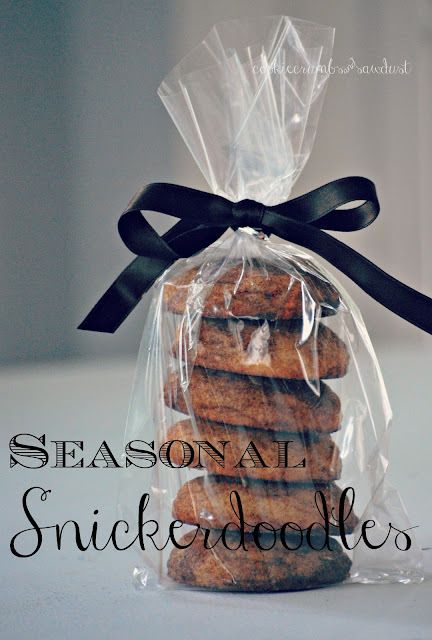 I love the idea of making snickerdoodles a seasonal treat...they could be so versatile! 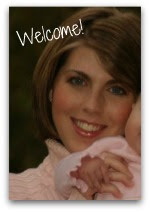 This would be great to link up to Create It Thursday #21…it's live now! Hope to see you there! Mmmmm, some of my favorite flavors. I love snickerdoodles and pumpkin, so I'm sure these are delicious! I'm visiting from It's Overflowing.